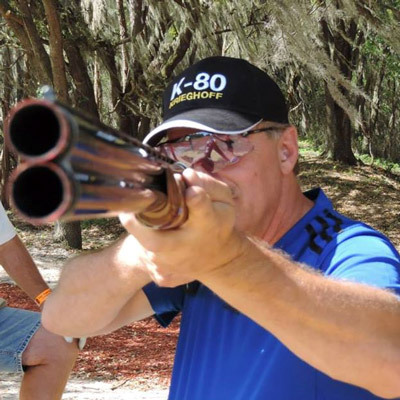 John Gangemi, owner and head shooting instructor at Florida Sporting Clays, is dedicated to helping residents of Tampa, FL, and other nearby areas in Central Florida drastically improve their skills in sporting clays, one of the fastest growing sports in America. Like many, John began shooting shotguns recreationally several years ago when sporting clays began its rapid ascent in popularity. He fell in love with the sport and made it his mission to constantly better his game and transition into competition shooting. To help improve his shooting skills and rise to a competitive level, John took lessons from some of the most respected shotgunning instructors in the country. That included learning the Coordinated Shooting Method (CSM) from world-renowned shooting instructor and former Chief Instructor of the National Sporting Clays Association (NSCA), John Higgins. After learning the fundamentals of CSM, John Gangemi began jumping classes in no time at all, and is now a certified instructor with the NSCA. He was so inspired by the simplicity and effectiveness of the CSM method that he decided to look into ways to help other shooters in Tampa, FL, and surrounding Central Florida cities bust more clays and have more fun on sporting clays courses. 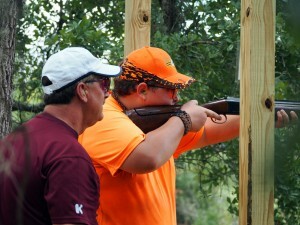 For this reason, he decided to become a certified CSM shooting instructor and open Florida Sporting Clays. In 2015, John Gangemi was certified as a Coordinated Shooting Method Teaching Recreational and Competition Shooting (CSM/TRACS) instructor. CSM differs from traditional shooting techniques such as swing through, pull away, and sustained lead in that it is a shooting method that allows for simple self-correction, helping to eliminate the need for constantly receiving shooting lessons from an instructor. By learning the fundamentals of the CSM method from John Gangemi, you can improve your accuracy and have fun without spending a significant amount of money trying to learn and master one of the traditional techniques from a shooting instructor. For further information about the experience and leadership that shooting instructor John Gangemi brings to Florida Sporting Clays and how his knowledge can help you improve your shotgunning skills, please contact us today. We’re proud to offer individual and group lessons to residents of Tampa, FL, and other nearby Central Florida communities.